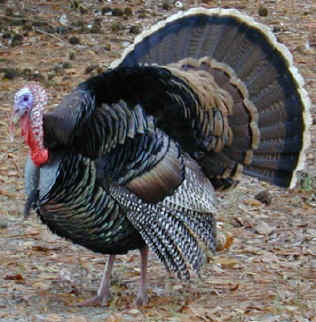 Gobble Gobble to all!! We have a lot to be thankful for. ..
November 9 - Stefan Sebregt's Falcon 24 Whistler, Auckland, NZ gets her own page - in Rosters; Watermark, a Falcon 24 in Whangarei, New Zealand - in Rosters; John Dragovitch's Falcon 24 Kitty Sark, Auckland, NZ - in Rosters; Alan Mountford's BlueGum Falcon 24, Australia gets her own page - in Rosters; Falcon, a Falcon 24, Auckland, NZ - in Rosters; Festina, a Falcon 24, Auckland, NZ - in Rosters; Manari, a Falcon 24, Auckland, NZ - in Rosters;Talia, a Falcon 24, Auckland, NZ - in Rosters. October 30 - Stefan Sebregts of Auckland, NZ, owner of Whistler, a Falcon 24, has checked in with a very interesting, undated Yachting and Boating Magazine review on the Falcon 24- in Technical/Fin Keel Dolphin - at the end. August 2 - Rod Hay/Jamie Dote-Kwan/Steve Shield's Phar Lap, Yankee # 87; Kevin O'Leary's Delphinidea, Yankee # 256; Kem Thompson's Charisma - in Rosters. July 22 - A lot of new stuff on the S&S 24 built in New Zealand and a new 'field investgator" based in Australia; Thankful, Fred Goguen's Pacific Dolphin #261 checking in from Casco Bay, Maine - in the Roster section; Paul Ingle's Seminole now has a story - in Seminole/Stories. July 10 - Hull #1- in Roster by number, and in O'Day/History. April 13 - Trina - in History; Happy Birthday Olin Stephens, 99 years young today! !